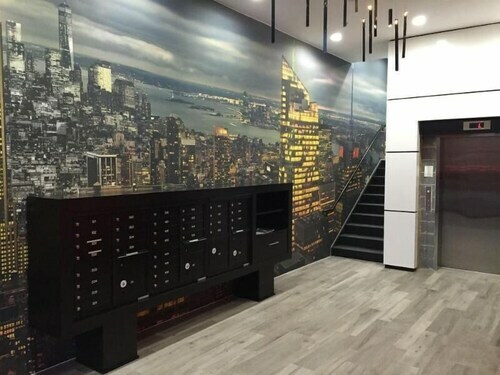 Situated in Hoboken's Jersey City - Meadowlands neighborhood, this design hotel is close to Stevens Institute of Technology, Ellis Island Immigration Museum, and Colgate Clock. Area attractions also include Newport Center Mall and Hamilton Park. Situated in the suburbs, this apartment building is within 3 mi (5 km) of Newport Center Mall, Newport Mall, and Journal Square. Jacob K. Javits Convention Center and Madison Square Garden are also within 3 mi (5 km). Hoboken 9 Street - Congress Street Station is 9 minutes by foot and Weehawken Lincoln Harbor Station is 22 minutes. 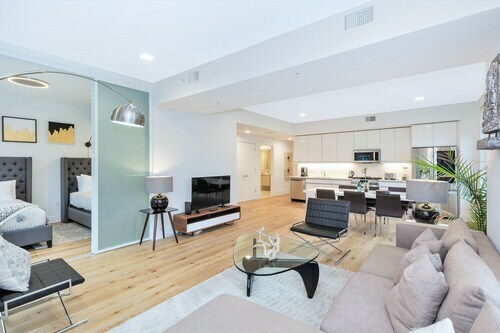 Situated in Hoboken, this apartment building is within 3 mi (5 km) of Newport Center Mall, Newport Mall, and The High Line Park. Jacob K. Javits Convention Center and Madison Square Garden are also within 3 mi (5 km). Hoboken 9 Street - Congress Street Station is 14 minutes by foot and Weehawken Lincoln Harbor Station is 16 minutes. 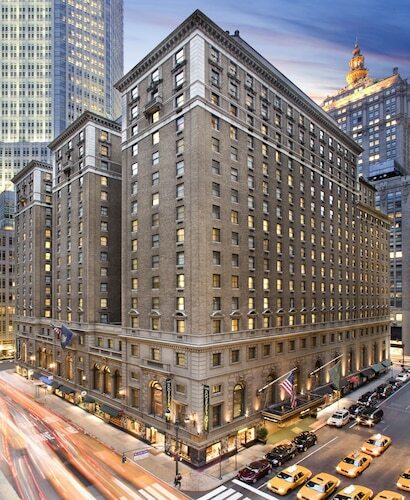 How Much is a Hotel Room in Hoboken? 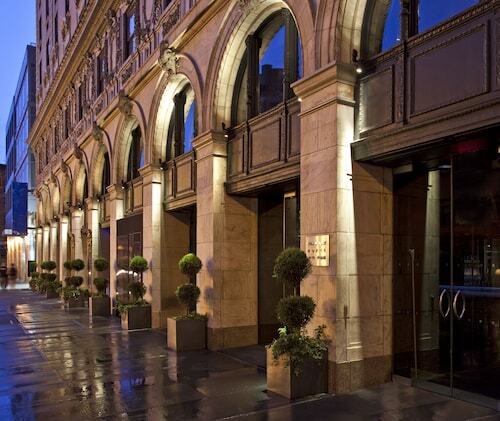 Hotels in Hoboken start at $219 per night. Prices and availability subject to change. Additional terms may apply. Hoboken, New Jersey, is more than just a city located across the Hudson River from Manhattan and the birthplace of Frank Sinatra and baseball. 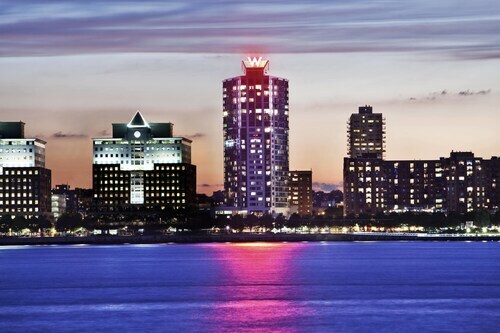 It's also home to the Stevens Institute of Technology and a thrilling party scene, in addition to some unique attractions, peaceful green spaces, and fun annual events. 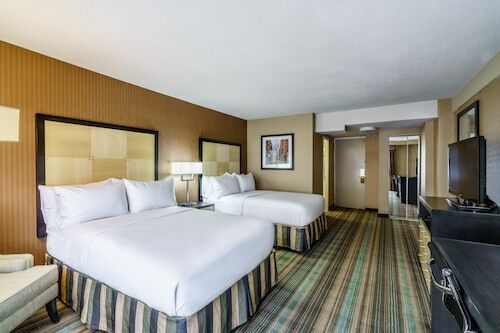 Hotels in Hoboken, NJ, are also prepared to accommodate a range of visitors, which guarantees you can find a nice place to rest after a day of exploring. From kayaking in the Hudson River to touring the Hoboken Historical Museum, this city is full of things to do. You certainly can't miss all the activity at Hoboken Terminal—one of the busiest transportation hubs in the New York City area. You also should make the visit to the Elysian Fields site, which is said to be where the first game of baseball was played; a historical marker pinpoints the location today. And if you're into architecture, be sure to check out Edwin A. Stevens Hall; the gorgeous Gothic architecture will amaze you. 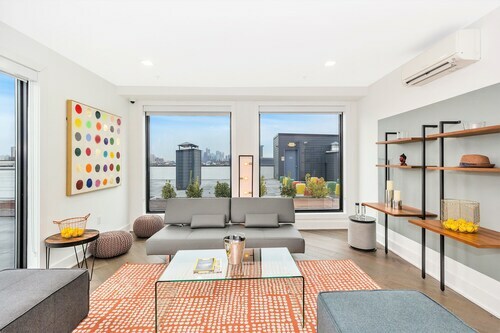 Of course, if you feel like you've seen it all in Hoboken, you still have plenty more to see in the surrounding region—after all, the Big Apple is right there. 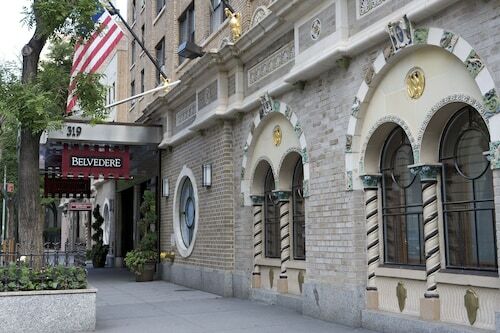 It's worth looking for deals on Hoboken hotels and Newark flights, because the bars in Hoboken rival any of those in the NYC's five boroughs, and you'll want to have extra cash to enjoy it. Once you experience the nightlife on Washington Street, you'll be convinced the mix of pubs, taprooms, lounges, and concert halls here are second to none. For bites to eat during the day or night, Washington Street is also a great option, as everything from Cuban fare and Japanese sushi to Italian cuisine and world-famous baked goods are available. Are you ready to book vacation packages to Hoboken? 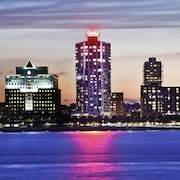 Travelocity is your site to find cheap hotels in Hoboken and save money for your vacation. Get the Travelocity app to receive mobile exclusive discounts for travel to Hoboken.